Today I started working on a new project. I have this beautiful green dress, but it is very plain so I am going to make a shall for it. It is going to have 3 of these style triangles in a triforce layout (because I am a nerd who loves Zelda games) with edging. 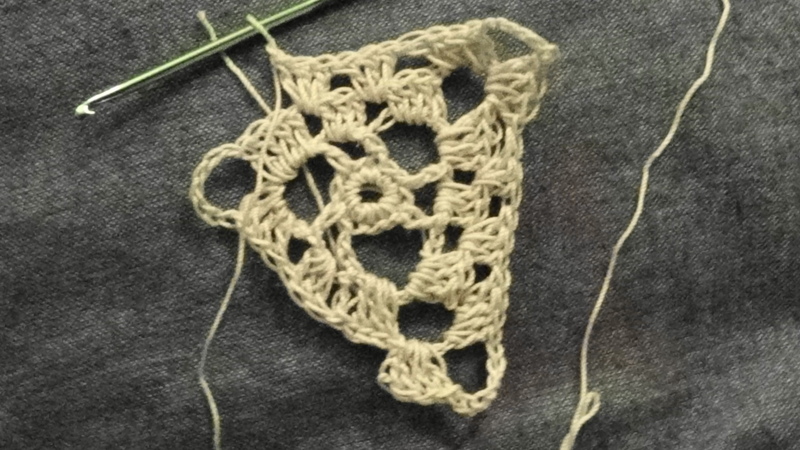 I’ll take more photos as I go along, and maybe write a pattern for it if it turns out pretty. It’s not done yet but I decided to share the work in progress. When it is done I will try to get a better photo. 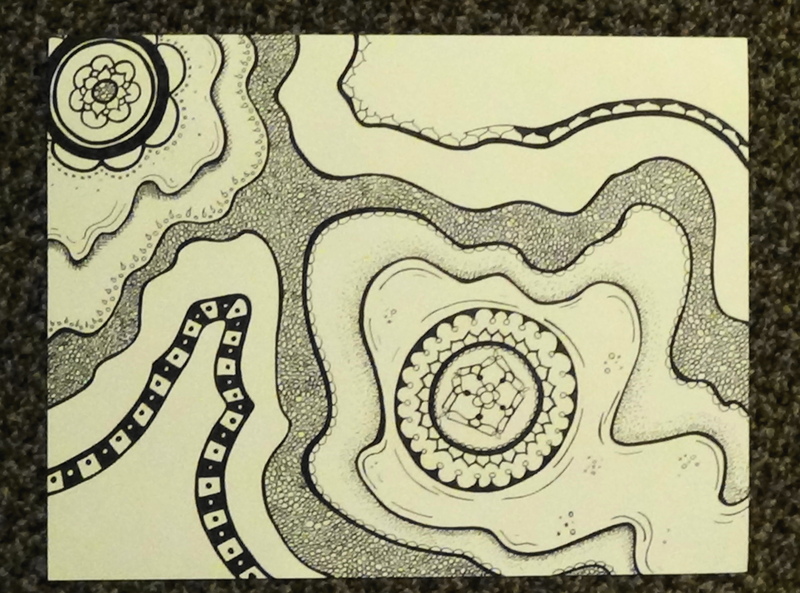 It amazes me how elaborate a doodle can turn out.